Do hams "own" their call signs? Can someone use them? Home › Radio Articles › Do hams “own” their call signs? On another page of this web site we had a short article about digital radio communications in ham radio. A very small portion of that article contained a screen shot of PSK transmissions received via a software package called MixW. In this screenshot and the accompanying short description the amateur radio callsign decoded was posted. The station did not contribute the screenshot nor the very short text involving their callsign. This person has been put under great scrutiny because of this posting and has requested the removal of their callsign from this website. While we are under no obligation to do so we have removed their callsign strictly because the manner in which they made their request. Our desire would have been to make mention of the call sign but that would still have their callsign posted on this site. One can only wonder what these left-wing wackos were doing in this site to begin with since they have such contempt for it. Since this has been posted, I am now receiving unsolicited email regarding this article. Anyone who obtained an email address for this person did it out of sheer vindictiveness towards this website. Anyone who contacted the station owner via unsolicited email should be turned in to their ISP for violating SPAM regulations. They did not obtain this person’s email address from this web site so they are the perpetrator of the SPAM. I have also been ‘labeled’ by some folks I know on the radio asking why I am providing examples and support for your site. Folks have somehow saw fit to “label” this amateur radio operator because their callsign was used in an article here. What they labeled this person as was not explained to us but it shouldn’t be hard to venture a guess. Small-minded people attack that which they do not understand. They hate for the sake of hating. They never looked at the context the ham’s information was used in but decided they don’t like this site so go after everyone involved. Well, as mentioned in their email, this ham operator never was involved. The call sign was pulled out of the air on a high frequency band unknown to the call sign holder. As we all know, I have never even participated in any way shape or form for anything on your site. The closing part of their comments above states the facts as they are: they have never participated in anything on this site. So those that have gone out of their way to harass this individual need to cease. If it wasn’t for your own petty lives we could post this person’s callsign here and formally apologize for the grief YOU are giving to them. One can only imagine the harassment brought upon this person by our use of their callsign but then consider the source. The people harassing this amateur radio operator are most likely ‘repeater rats’ who make claim to be amateur radio operators yet do nothing but communicate via 2-meter repeaters. No! How could they be? An amateur radio does not own their call sign. This person wronged by his so-called “friends” above realizes this and they did an excellent job of respectfully requesting that we remove their callsign. The calls are assigned by the Federal Communications Commission and are accessible on a public web site. So where’s the copyright coming in? There isn’t any, otherwise QRZ.com, HamCall.net and even the Radio Amateur Callbooks (print editions) were in violation of copyright infringement according to these left-wingers. So you think you own your call? You don’t, it is a privilege, not a right, passed on to those of you who are amateur radio operators. If the people who attacked this person knew anything at all they would realize how wrong THEY were. Want your call removed from this web site? Well then what do you do about all the others out there? You have several world-wide websites that posted not only your ham radio call signs but your home address as well. We never did that in this case. If you don’t want your call here then you should look at these other places where your callsign is used on a daily basis. Without your permission I might add. A site called www.qrz.com, do they pay you hams for using your calls? A site called www.hamcall.net, do they pay you? Many, many sites belonging to ham radio operators have callsigns posted online in their online logs. Did they ask permission? Individual amateur radio operators who like the cards (QSL) that you exchange enough to post yours on their web site. Did they ask you? Ever get a card from a shortwave listener? Do they have the right to use your call? 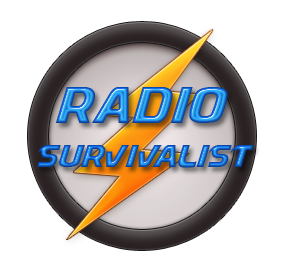 Many of the ham radio magazines post the names and calls signs of people involved in the radio contests. Did they get permission? How about the software that posts your call and frequency across the Internet for others to use? Did they ask you if they could use your call? The previous instances of using an amateur radio call sign in publications and online demonstrate that holders of ham radio operators do not hold any sort of copyright over their FCC assigned callsigns. The United States has gone to the left politically if you believe all that you read in the media (controlled by guess who?). As was demonstrated in Wisconsin the so-called “progressives” attack anything that does not fit their ideology. As the unions did in Wisconsin they try to do it here on this web site. They disagree so they try to shout down anyone who doesn’t goose step down their path. The sad thing about them taking the original article out of context was that anyone with an ounce of common sense could have seen that this station did not participate in this web site. The person who sent us the email may or may not agree with the focus of this web site, it was never stated. Nor does it matter. One thing that did happen was they stated their situation where they were being attacked. They then made a respectful request that their call sign be removed. And so we did. As this country slides ever further down the slope we see the unions, the “progressives”, the “we’re entitled” groups and a myriad of others trying to quiet the voices of the other side of a discussion. For those that disagree then go ahead and disagree. But do it like this person did, use some class. Show some education, it will go a lot further than your shouting and sending unsolicited emails.